Catalyst Air Management, Inc. was formed in 1996 to provide quality process evaluation and emissions testing services for industrial and power generation clients. 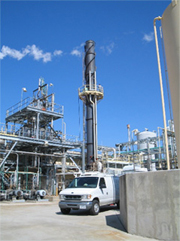 Catalyst provides experienced, qualified test personnel proficient in the latest EPA test methods. Each team is structured with a test supervisor who is responsible for ensuring that test programs are completed as scheduled while adhering to all applicable environmental, health, and safety regulations. Catalyst Air Management, Inc. has three locations and is competitive in mobilization costs to facilities in the Eastern and Midwestern United States. Sign Up Now | Forgot Password ?